It looks like the test and punish crowd is beginning to get worried about all the backlash against high-stakes testing. Lately, I noticed a little spittle forming at the corners of the mouths of the test them to death champions such as those at the Thomas B. Fordham Foundation. Jumping into the fray this past week was one of my reformy favorites and New Jersey's own, Andy Smarick. Smarick brought his own special take on public education to New Jersey as a Deputy Commisioner of Education for a few years, where one of my esteemed colleagues called him "a nice kid who knows nothing about education." Jersey Jazzman has a detailed look at Andy's bona fides here. He is currently a Partner with Bellwether Education, serving on the Orwellian sounding "Bellwether Thought Leadership" committee. Smarick has decided to bring his "thought leadership" to us all in a recent article in Fordham's Flypaper blog. He worries that recent back peddling on testing by luminaries like Bill Clinton, Bush Era Secretary of Education, Margaret Spellings, and even Fordham's own "Checker" Finn will lead to a compromise where yearly testing of students is repealed. Heaven forbid, cries Andy. He then offers a point by point rationale for testing kids every year. I'd like to take a look at Smarick's standardized testing "benefits" a little more closely to see if they hold up. Here is Smarick's list and my commentary. 1. Yearly testing makes it clear that every student matters. No, Andy. The only thing yearly testing makes clear is that the education reformers' agenda matters above all. The only reason to give a standardized test every year is to advance the agenda of using test scores to evaluate teachers. If it were truly about the kids, we would stop testing so much and give more time to teaching from a broader, richer curriculum. 2. Yearly testing makes clear that the standards associated with every tested grade and subject matter. No, Andy. What would make clear that every standard matters would be a process where teachers were included in the standards formation and delivery. Yearly testing perpetuates the top-down, teacher be damned approach to the Common Core. By testing every year, education reformers seek to force a test driven curriculum on teachers who had little or no voice in the creation of those standards. 3. Yearly testing forces us to continuously track students, preventing our claiming surprise when scores are below expectations. So, if I understand this one correctly, Andy, we need to test kids every year to prove that our tests are showing that a student is under-performing on tests, so that we can redouble our efforts to make sure kids perform better on tests. Or is it that we need to test every year so that we can gather a database of kids scores over time to use in efforts to close schools and fire teachers? 4. Yearly testing gives us information needed to tailor interventions to the grades, subjects, and students in need. No, Andy. Actually the information provided by standardized tests does not tell us much about the child as a learner or about how to help that child. Standardized tests may tell us about some broad student strengths and weaknesses, but teachers get much richer and much more actionable information from their own authentic assessments in class. If you want to spend some of that testing money on helping teachers develop classroom based authentic assessments, I am with you. 5. Yearly testing gives families the information needed to make the case for necessary changes. So, Andy, we can use standardized tests as a weapon to back up "parent trigger" legislation to close down local neighborhood schools and replace them with privately run charter schools of no better, and often worse, quality. In other words we need standardized tests, once again, to advance the reformer agenda. Of course, we could use the money spent on testing to make sure the existing school has the resources it needs to be successful, but that doesn't fit the agenda. 6. Yearly testing enables us to calculate student achievement growth, so schools and educators get credit for progress. How thoughtful of you, Andy. Thanks, but no thanks. I will be happy to celebrate progress in many ways with the students. 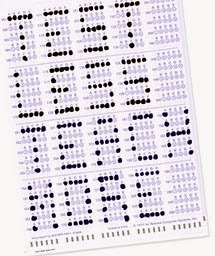 One way I would get a chance to celebrate, every year, is if we tested only in 4th, 8th grade and 11th grade. That way, my schools and my teachers all get to celebrate, but my kids don't get their brains knocked out by too many tests. 7. 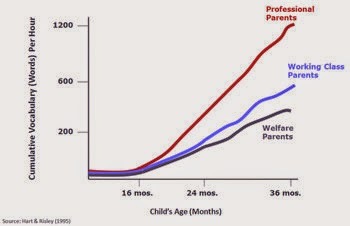 It forces us to admit that achievement gaps exist, persist, and grow over time. I will tell you what, Andy, I will give you this one. I will admit, lo and behold, that achievement gaps exist, persist and grow. I don't need a test to tell me that. I will also insist, however, that no amount of testing will change this fact. If we want to do more than track the persistence of achievement gaps, we know that we must first address the opportunity gap that is perpetuated by persistent inequity in this country. 8. It prevents schools from "hiding" less effective educators and programs in untested grades. So, Andy, we must subject kids to test after test so that schools will be forced to spread their less effective teachers around? It seems a little odd to punish children for the perceived misdeeds of the adults around them. Also, do you imagine that principals and all other teachers don't know and understand that a child's performance on a fourth grade test is the result of the teaching of every teacher that child has ever had? This sounds like just another way to push the test the kids and punish the teachers reform agenda. Based on Smarick's list of benefits, I would have to conclude that standardized tests are vital to the advancement of the corporate education reform agenda, but not especially useful to students, parents and teachers. Used judiciously, periodic standardized testing can give schools some useful programmatic information. About three times in a student's career seems right. Schools, teachers and children would be better off by far, if the rest of our assessment energies were directed at authentic assessments conducted in the classroom, which yield information that can be acted on immediately. Reformers Say Field Trips Are Good for Kids: Who Knew? A recent article on the reformy blog, Education Next, reports on a study out of the Walton Foundation funded Department of Education Reform at the University of Arkansas, which found many positive learning outcomes from having students attend live professional theater productions. This report follows last year's groundbreaker from the same group that found positive learning outcomes associated with taking kids on field trips to museums. Both these studies fall into a school of educational research that I like to call a "Duh" Study; that is, a study that purports to discover something that veteran teachers have known, like, forever. The stated goal of these studies according to the authors is "to broaden the types of measures that education researchers, and in turn policymakers and practitioners, consider when judging the educational success or failure of schools." That sounds like a worthy goal. Of course, it has been the reformers who narrowed our view of what a successful school is in the first place, so I take their new found insight with a large pinch of salt. These researchers also worry that "as schools narrow their focus on improving performance on math and reading standardized tests, they have greater difficulty justifying taking students out of the classroom for experiences that are not related to improving those test scores." Gee, really? Is it possible that these reformy types are saying a focus on standardized tests narrows the currriculum? Maybe they have been reading Diane Ravitch. But perhaps I protest too much. Any study that will help justify putting money back in the budget for culturally enriching field trips is okey dokey with me. In the recent financial crisis field trips took a real hit. These trips were made vulnerable by the obsession with testing coming out of NCLB and the recession was a death knell for many schools when it came to the expense of a field trip. For the record the latest study took middle school children to see a live professional production of either The Christmas Carol or Hamlet. 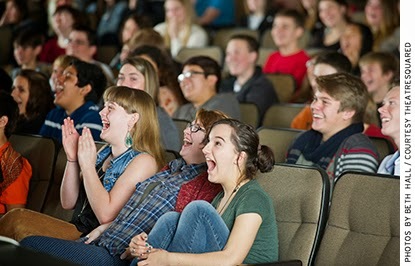 The researchers found that seeing a live production enhanced students understanding of character, plot and other factors related to knowledge of the play. Students who saw the live production also showed higher scores for tolerance of diverse points of view and in reading others' emotions. None of this is surprisising, of course. I can trace my lifelong love of the theater and particularly of Shakespeare to a 9th grade field trip to see a production of The Merchant of Venice. It was the first live professional performance I had ever seen and I will never forget it. I can still conjure the three caskets scene in my minds eye 50+ years later. The earlier study took children on a field trip to an art museum. That study found that the experience improved student knowledge of and ability to think critically about art. Students also displayed stronger historical empathy, developed higher tolerance, and were more likely to visit such cultural institutions as art museums in the future. Again not surprising, but good news. Maybe Bill Gates can divert some millions from his pursuit of the perfect teacher evaluation design to fund kids going on field trips. The rich educational and cultural possibilities of field trips were readily apparent to me as a very new, very young social studies teacher back in the 70s. I taught in a working class town in southeastern Pennsylvania where my students parents worked very hard every day to make ends meet. There was little time for cultural activities in these families' busy lives and these 12 and 13 year old children, an eclectic mix of white, Hispanic, African-American and newly-arrived Vietnamese, had limited cultural experiences. Every year for several years I took three bus loads of these kids to New York for a visit to the Natural History Museum, a tour of the city landmarks, and lunch in Chinatown. I have many stories from those trips, but my favorite involves a young man named Carlos who had his nose pressed to the window pane of the bus from the moment we left the school's driveway all the way up the New Jersey Turnpike. As the bus was making its way downtown to show the kids the Empire State Building, Carlos peered up at a large clock on a bank building and noticed that the clock said 11:05. ""Mr. Walsh, Carlos asked, "It's 11:05 here in New York, but my watch says 11:00. Are we in a different time zone?" I smiled, pleased that Carlos was at least remembering something from my geography lesson of a few weeks before and explained to him that the clock he saw must just be a little fast. So yes, field trips matter and they matter a great deal. They create memorable moments of great impact on the lives of young people. They also create joy. Joy is in too short supply in schools these days and the reformy focus on standardized tests and accountability must take responsibility for killing much of that joy. It seems that some reformers at least are beginning to realize it. I suggest teachers use these studies in their requests for funds for educationally and culturally enriching field trips in the future. What else can reforemrs learn that teachers have always known? The sky is the limit. Next year I suggest the gang at the University of Arkanas investigate whether or not participation in the band at school enhances a student's appreciation of music, ability to work as a team member and self-esteem. I wonder what they would find. And I wonder if what they discover would lead to a reformy call to ensure that every school child had the opportunity to attend a school with a rich music program. 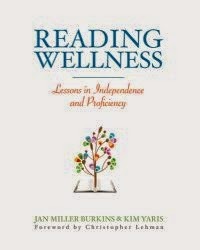 In their new book, Reading Wellness (Stenhouse, 2014), Jan Burkins and Kim Yaris want to help teachers keep their eyes on the true prize of reading proficiency: an enriched life. The authors, both former teachers who have become influential voices in the literacy field through their blog, Burkins and Yaris - Think Tank for the 21st Century Literacy, worry that the current mania surrounding standards and accountability will draw teacher's attention away from a broader vision of students as readers and people. They offer up a book of practical lessons and knowing advice to help teachers stray true to their literate selves and true to their students literacy needs in the strange new world that is education in the 21st century. The authors frame the text around four basic tenets that guide their work with children and teachers and that they believe guide the work of all teachers. They call these tenets "intentions." These intentions are ideals that are universal and that predate the standards movement. Intention 1: We intend toward alignment with our inner teacher - For Burkins and Yaris alignment with our inner teacher will serve as a check to an alignment that is only narrowly focused on standards. This means that we teach with our highest purpose for teaching in mind - a focus on lifelong learning. When we align with our inner teacher,we keep our eyes on what research says about moving children from dependence to independence as readers and learners. Intention 2: We intend towards balance - This intention requires us to balance our attention to the demands of standards and accountability, that is the expectations of others, with our own intentions directed toward life-long learning. Balance requires a marriage of the goals of the inner teacher with the immediate considerations of accountability. A teacher may be required to use a certain curriculum or program, but the teacher must balance these requirements with the bigger picture goals of the inner teacher. Intention 3: We intend toward sustainability - Because we live in a world of constant time constraints, we must prioritize lessons that teach ways of learning that can grow into other lessons. These high value lessons answer the question, "How does this lesson make students more "well" as readers?" In this context, I understand Burkins and Yaris to mean "well" as adept at the skill of reading, but also filled with the will to read. Intention 4: We intend toward joy - If our reading lessons are to inspire lifelong learners they must energize the teacher and the students and fill the classroom with energy and inspiration. Joy is an indispensable ingredient in lifelong literacy. Moving from this framework, Burkins and Yaris offer clearly laid out and field tested lessons to put their intentions into action. 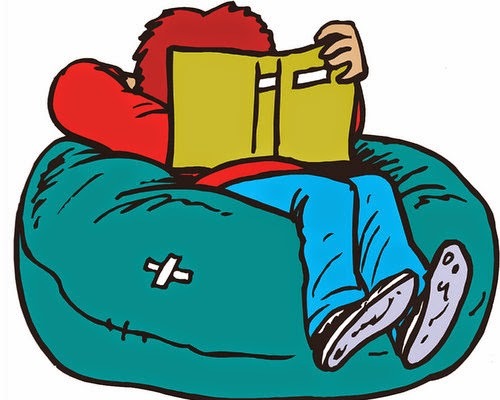 The lessons focus on helping students identify their passions and the books that may feed those passions; the rewards of really hard reading work; the interaction between print and meaning; an approach to close reading they call "mindfulness"; and building reading stamina. The lessons are creative, thoughtful and would be sure to enhance any teachers repertoire of reading instruction practices. Each lesson is accompanied with a chart that sets out a long and short range purpose, standards alignment, time frame, materials and procedure. While these charts are very helpful, it is important to read the explanations that the authors offer because these explanations imbue the lessons with the spirit with which they need to be delivered. The final chapter is entitled Joy - Reading More for the Love of It. As I work with teachers around the country, even in a conversation with some teachers in New Jersey yesterday, I hear a consistent fear for the loss of the joy of teaching and the joy of learning. Burkins and Yaris encourage us to reclaim joy. They remind us that reading wellness is more than just about numbers, true reading wellness is about the transformative power and sheer joy that can be provided by a good book. Lessons in this chapter focus on helping children see how reading makes them feel good. If this chapter on joy were the only chapter in the book, the book would still be well worth the price. Ultimately, Burkins and Yaris, want to help literacy teachers to move beyond the expectations of others - close reading, identifying main ideas, and all the aspects of reading writ small - and to keep our eyes on READING writ large, that READING that enriches our lives and that we hope will enrich the lives of our students. Buy the book. Try out the lessons. Infuse joy into your reading instruction. Doing so will take your teaching beyond standards and accountability to joy. Yesterday 200 hundred or so Badass Teachers, bloggers, school administrators, college professors, parents and students gathered at the Brooklyn New School for the first ever Public Education Nation conference sponsored by the Network for Public Education. The theme of the event was "Changing the Conversation," an allusion to the need for supporters of public education to take back the narrative on schools and schooling from the corporate education reform industry. The event was carried across the nation via the internet on Livestream and further supported by a dedicated group of tweeters who had the event trending #1 on Twitter for most of the day. Chairing the event was public education hero, former teacher and current Network for Public Education board member, Anthony Cody. Cody has been one of the leading voices in the pro-public education battle through his blog, Living in Dialogue. Prior to the formal program, the Education Bloggers Network, under the leadership of Jonathan Pelto of the Wait, What? blog, met to plot out strategy for further expanding the impact of the many blogs devoted to reporting on and championing public education. Bloggers are having an impact it seems. 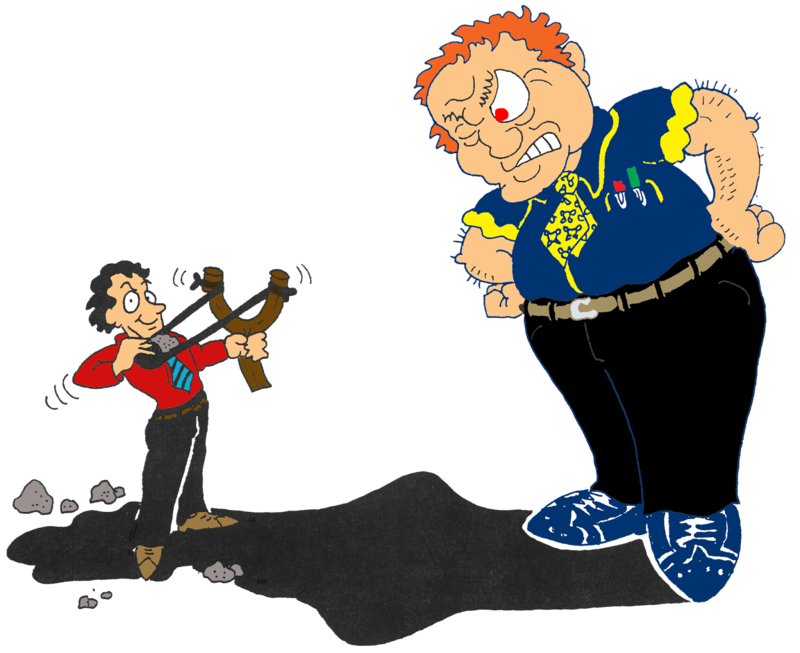 One of our members, Francesco Portelos, was offered a settlement by his school district if he would only stop blogging. The corporate education reformers and Common Core supporters have felt more and more compelled to respond to the bloggers as our message gets out. 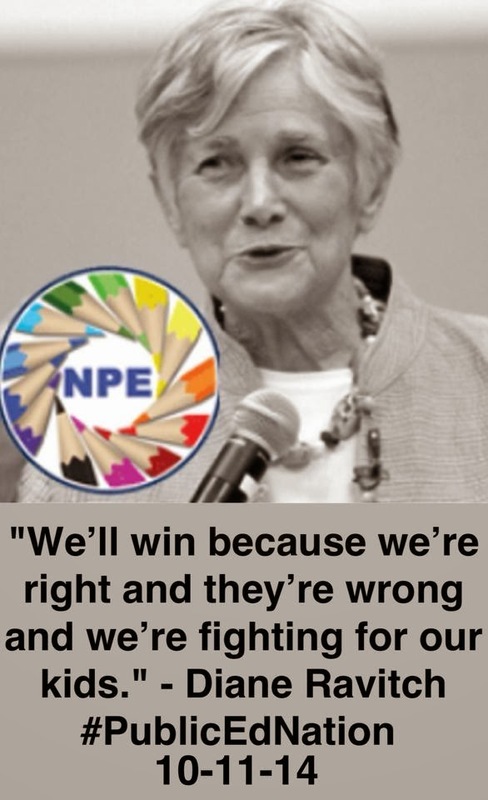 As Diane Ravitch has reminded us, Ghandi said that once your enemies feel compelled to fight back you are on your way to winning. Among the attendees at the bloggers meeting was Ruth Coniff, Executive Editor of The Progressive Magazine, which is teaming with the Education Bloggers Network on an online magazine project, Public School Shakedown. The bloggers group is looking to team with The Progressive to expand the reach of this project. The bloggers also seek to add higher education issues into the mix, especially now that teacher education institutions have become the target of corporate education reform. The conference itself was divided into four panel discussions and an inspirational wrap up session presented by Diane Ravitch and Jitu Brown. The first panel concerned the Common Core and was chaired by hero principal and dedicated Common Core warrior, Carol Corbett Burris. On this panel, Takiema Bunche Smith argued that the Common Core forced teachers to defend practices that they knew were developmentally inappropriate for young children. She was concerned, as we all should be, that not one early childhood educator was included in the development of the standards. College professor Alan Aja said we need to fight the false conclusion that education reform will fight poverty. The reformers goal is to disrupt our children's lives in order to ensure a conforming and compliant population of workers for the future. Burris wrapped up by saying that we need to get teachers at the center of the conversation on the Common Core, where they should have been in the first place. The second panel featured Chicago teacher Xian Barrett discussing school closure with Newark, NJ public school student leader Tanaisa Brown and Fairfield University professor Yohuru Williams. Ms. Brown was both passionate and articulate in her criticism of the One Newark plan being forced on the students and parents of the Newark schools by the state appointed Superintendent Cami Anderson. She argued that action needed to be taken to the streets because that was the only way the students could get people to listen. Dr. Williams was inspirational in his plea to privilege people over profits. He warned the reformers like Anderson, "We are coming to take our schools back." Jeff Bryant of the Educational Opportunity Network asked the next panel to answer the question, "Are charter schools doing more harm than good?" Not surprisingly, this panel came down on the side of harm. Karran Harper Royal, an activist from New Orleans, captured the post-Katrina devastation of the New Orleans school system as offering students what amounted to chance, not choice. There is no real choice in New Orleans, certainly not if your choice would be a well-funded neighborhood public school. New Orleans she said, is no model for the country as it is being touted by the reformers. Investigative journalist Wendy Lecker added that the lack of scrutiny of charter schools has led to outright fraud. She cited many examples from her own state of Connecticut. Charter schools do damage to equity in Connecticut by getting an unequal amount of funding and they do damage to children through the high attrition rates of both students and teachers. On the same panel, teacher and blogger Gary Rubinstein said that he has found through personal experience that KIPP charter schools, one of the most prominent charter models, provides a poor instructional model led by inexperienced teachers. Rubinstein expects the charter movement to fall of its own weight as it tries to expand. The final panel, chaired by Network for Public Education Executive Director Robin Hiller, focused on some genuine success stories in authentic reform. Greg Anrig, Director of the Center for Inquiry in Teaching and Learning and author of the must read book, Beyond the Education Wars: Evidence that Collaboration Builds Effective Schools, discussed the enlightened teacher evaluation model in Cincinnati, Ohio. Anrig said that a top down model of teacher evaluation will fail. The Cincinnati model shows how evaluation can work in a spirit of teacher/administrator collaboration. New York City school principal Phyllis Tashlik discussed her school's model that was based on treating teachers as professionals and working with them to design a performance assessment that works. Brian Jones brought this panel to a close by arguing that "no excuses" educational reform was actually making excuses for poverty. At the end of the day, Diane Ravitch took the stage to declare. "We are winning!" She said that she wants all of our public schools to be like the schools the rich send their children to. Schools unburdened by standardized tests and Common Core and "no excuses" discipline policies. Schools with small class sizes and teachers who are treated s professionals. Jitu Brown exhorted the crowd to go beyond activism to organizing. Only as a community can we change the conversation. And brought down the house when he said, "This is not intellectual discussion. This is a spiritual discussion. The privatizers crossed a line. We must kill the privatization movement." And so on this Sunday morning may I say to that, "Amen." Videos of all the events at the conference will be available on schoolhouselive.org. Please watch for them to be posted.